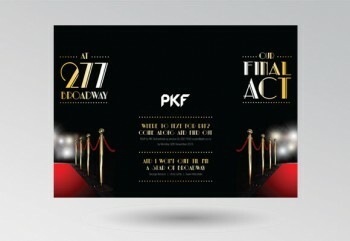 The PKF Rutherford's Christmas Party is the must-attend Christmas party of the year. 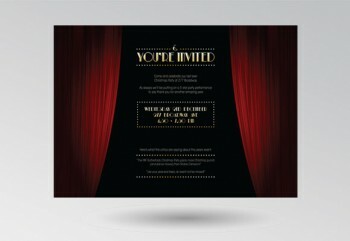 A beautifully decorated office, live music, an outdoor barbeque area, delicious punch and Christmas canapes. 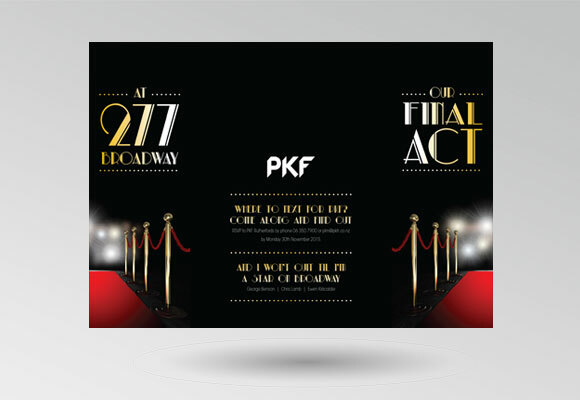 So imagine the shock when PKF’s clients received a mysterious invitation, beautifully presented in deep red and black, declaring 2015’s party as their Final Act. 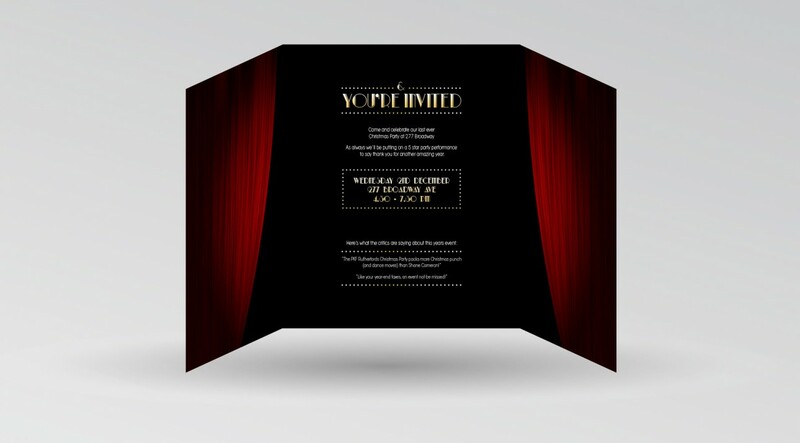 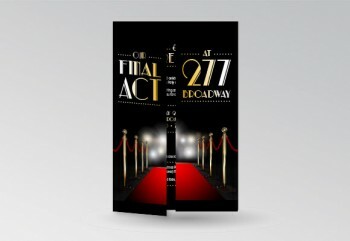 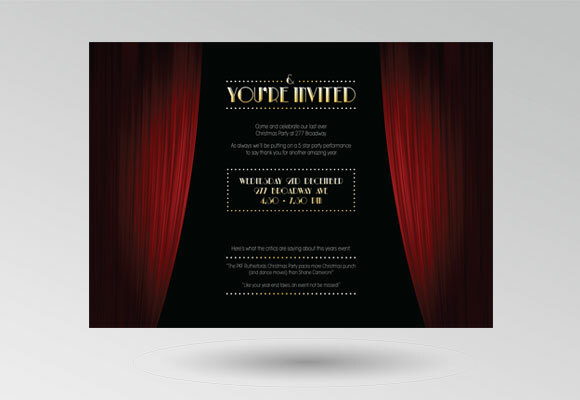 The Broadway themed invitation opened like show curtains to reveal the truth: this would indeed be their final act, but only at their current location - The invitation doubled as an announcement that PKF were moving to a bigger, brighter new office space. The Christmas party was busier than it has ever been and so were our phone lines - with PKF clients wanting us to design similar Double Acts for their businesses.